Showing results by author "Donald Loren Hardy"
Shortly before Wyoming’s Alan K. Simpson was elected majority whip of the United States Senate, he decided to keep a journal. "I am going to make notes when I get home in the evening, as to what happened during each day." 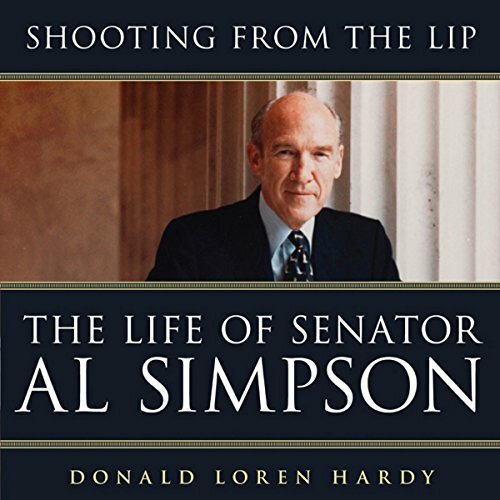 Now the senator’s longtime chief of staff, Donald Loren Hardy, has drawn extensively on Simpson’s personal papers and 19-volume diary to write this unvarnished account of a storied life and political career. Simpson gave full authorial control to Hardy, telling him, "Don, just tell the truth, the whole truth, as you always have. Leave teeth, hair, and eyeballs on the floor, if that results from telling the truth."